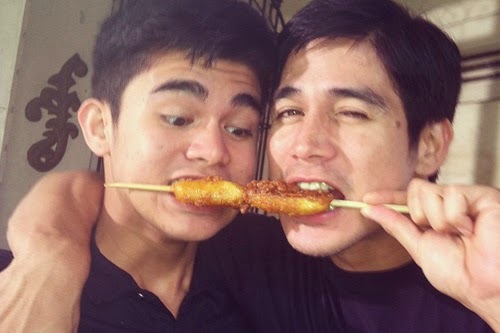 Manila, Philippines - Kapamilya actor and endorser Piolo Pascual recently admitted that he wanted one more child in the future. During the presscon held recently at Hospicio De San Jose for his upcoming teleserye "Hawak Kamay", Piolo admitted that he wants a new a baby, of course with the help of a girl soon to be his wife. "Paano ako makakagawa ng bata, kung wala akong makakatulong? ", he said to the interview. "It's a package deal, you know, I have a kid," he explained. "I don't want to have a kid without getting married. My son [Iñigo Pascual] had a hard time and it wasn't his choice. So if I find my future children a solid family, that will be nice. ", Piolo added. Many of the girl fans of the 37-year old 'Ultimate Heartthrob' believed he should focus now on his work as he's currently working for the newest family TV series on ABS-CBN, "Hawak Kamay". The title of the teleserye 'Hawak Kamay' is based on the hit song of the Rockstar Princess, Yeng Constantino. In the series, Piolo plays the role of a frustrated musician who fights for his right to adopt his deceased sibling’s four children. In an interview on "Showbiz Inside Report" in August last year, Piolo said: "Although, I'm at an age na pwede na, not a lot of people know na I promised my son, when he's 18, that's the only time na magko-concentrate ako sa magiging future ko with a family." Single dad Piolo Pascual preferred to settle down before the age of 40. Iñigo, who is based in California with his mother, is turning 17 on September 14.